Significant (often international) travel is a common event in the life of elite athletes and teams; increasingly recreational athletes are participating in overseas competitions. 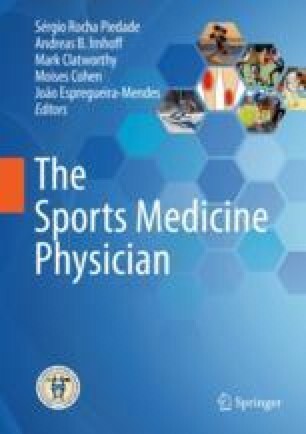 This provides unique challenges for both the athlete and the supporting medical staff regarding training and performance. Knowledge of international climates, insect-borne diseases, local food customs, jet lag, and travel-related illness are essential for medical practitioners to ensure athletes and teams can achieve maximal performance and optimal health while traveling. Detailed preparation and planning are critical components of any practitioner’s toolkit who support the traveling athlete. British Journal of Sports Medicine (UK). How to keep athletes healthy when travelling [podcast on the internet]. Br J Sports Med. 2017 [cited 2018 Jun 18]. https://soundcloud.com/bmjpodcasts/sets/bjsm-1. National Institute of Diabetes and Digestive and Kidney Diseases (US). Foodborne illnesses [Internet]. US Department of Health and Human Services; 2018 [cited 2018 May 25]. https://www.niddk.nih.gov/health-information/digestive-diseases/foodborne-illnesses. World Anti-Doping Agency (CA). WADA confirms attack by Russian Cyber Espionage Group [Internet]. World Anti-Doping Agency; 2016 [cited 2018 Jul 3]. https://www.wada-ama.org/en/media/news/2016-09/wada-confirms-attack-by-russian-cyber-espionage-group. World Anti-Doping Agency (CA). The prohibited list [Internet]. World Anti-Doping Agency; 2018 [cited 2018 Jul 8]. https://www.wada-ama.org/en/what-we-do/the-prohibited-list. World Anti-Doping Agency (CA). Guidelines – Therapeutic Use Exemptions (TUE) [Internet]. World Anti-Doping Agency; 2016 [cited 2018 Jul 8]. https://www.wada-ama.org/en/resources/therapeutic-use-exemption-tue/guidelines-therapeutic-use-exemptions-tue. Hamilton B, Exeter D, Beable S, Coleman L, Milne C. Zika Virus and the Rio Olympic Games. Clin J Sport Med. 2017; https://doi.org/10.1097/JSM.0000000000000551. World Health Organization (CE). Vector-borne disease [Internet]. World Health Organization; 2017 [cited 2018 Jun 9]. http://www.who.int/news-room/fact-sheets/detail/vector-borne-diseases. Sport Med BC (CA). Emergency action plan [Internet]. Sport Med BC; 2017 [cited 2018 Jun 28]. https://sportmedbc.com/article/emergency-action-plan.